Complimentary valet is awaiting you at our front door, there is an extensive parking garage below the restaurant ensuring all cars are parked in a safe, secure location. Self parking is also available at street level in the front of the restaurant, or below in the parking garage for free. Two covered patios, television at bar and bar patio. Sevy's Grill can help you make your luncheon, dinner, business meeting or party a complete success. Centrally located in the heart of mid-Dallas, it's a convenient place to have showers, after-work happy hours, or getting a group of friends together for dinner. Our private dining room is available for rental for any type of private event. Whether it is celebrating a birthday or a business presentation, our room can comfortably hold up to 40 people for a seated meal. Set menus are available for larger groups that range from three to five courses. 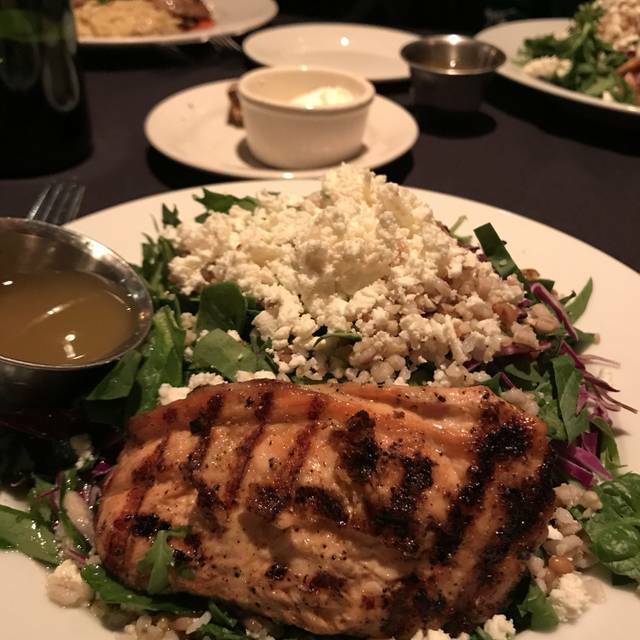 Sevy's Grill has been a Dallas favorite since 1997 serving the finest ingredients with a creative American flair. 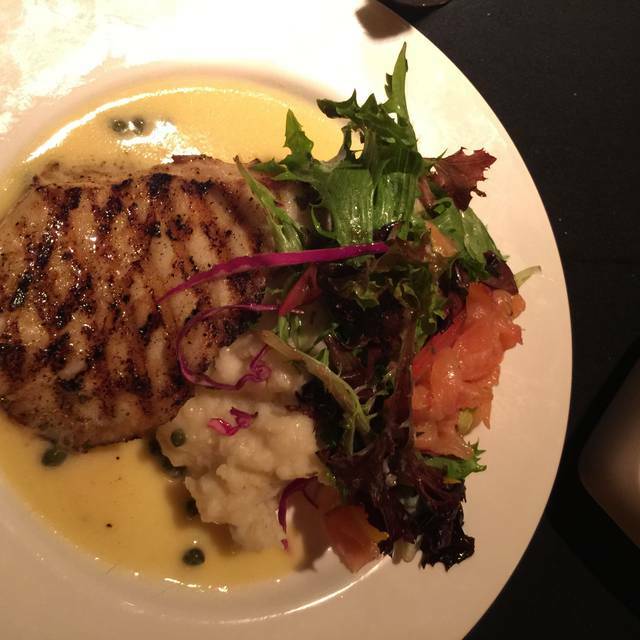 The menu features steaks, seafood, pastas and daily specials, that utilizes a wood burning grill for added flavor. We offer a range of libations in our bar, including over 60 varieties of scotch and over 60 wines by the glass. Designed by Paul Draper, the Arts and Crafts influenced interior creates a comfortable, warm environment highlighted by the amber glow of the back-lit bar. Weather permitting, the French doors along the front of the restaurant open to one of the patios. With a private dining room with a gas burning fireplace, two covered patios, and an outdoor putting green, we have something for everyone. 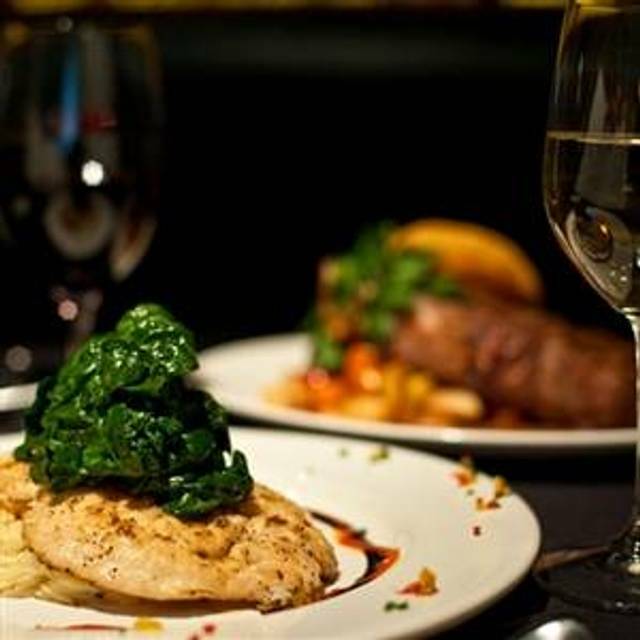 Complimentary valet, off-site catering and unique menus for special events are additional services we are pleased to offer our guests. Come on in and meet Sevy, Stefaan, Frank and Buzzy - they guarantee your enjoyment. crisp romaine lettuce, herbed croutons and aged grana padano cheese "the works"
Poblano Cavatapi "Mac and Cheese"
To celebrate Moms everywhere, Sevy’s Grill will be serving a special Mother’s Day Brunch on Sunday, May 12th from 10:30am to 2:00pm. Three course Brunch Menu, with plenty to choose from in each course. Enjoy our family tradition of Easter celebration on Sunday, April 21st from 10:30am - 2:00pm. This is one of two brunches that Sevy's does all year! We will be featuring a Three Course Brunch with menu choices for all in each course. Just fabulous, and the server, Geoffrey, was the best we have had at any restaurant in years and just about as good as they get! TOP NOTCH, wish i had gone there years before as this was first visit. 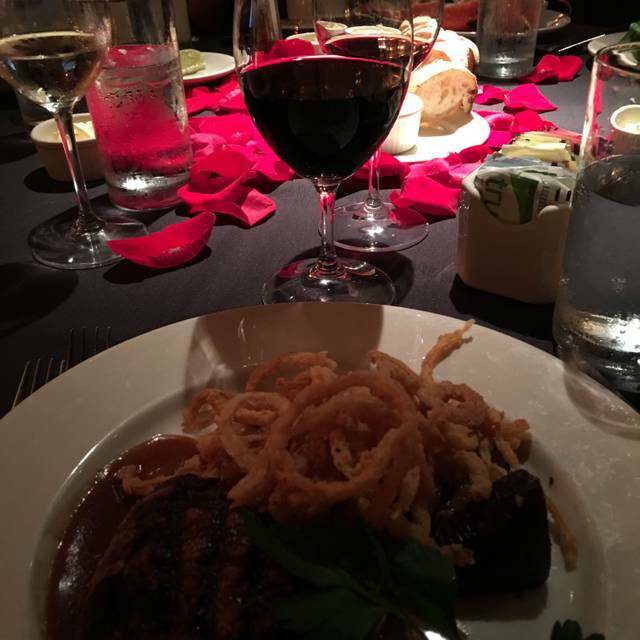 Amazing date night spot! We frequent Sevy's and usually sit at the bar for drinks and dinner. This time, we sat in the main dining room. Service was attentive but not intrusive. Food was delicious. 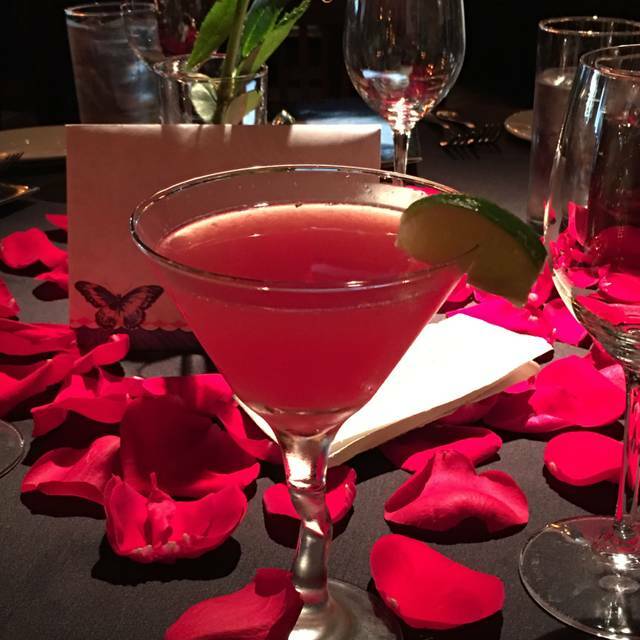 Ambiance was relaxing, romantic and a place to celebrate special occasions (even if that occasion is date night). 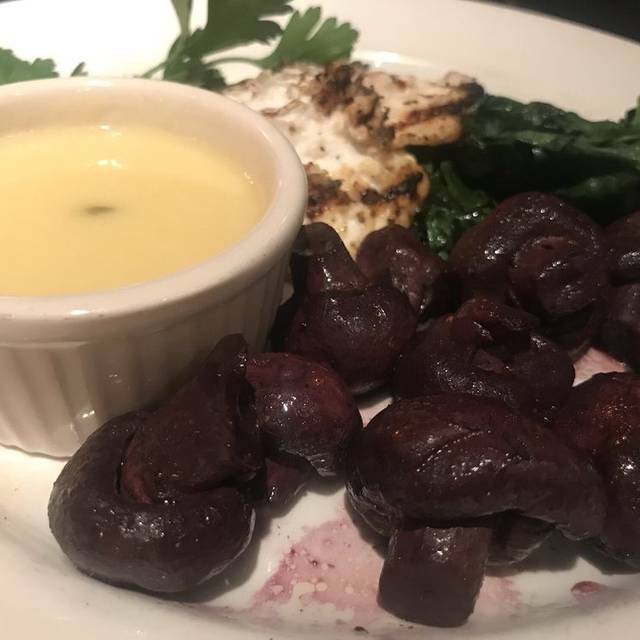 We love Seve’s and we love bringing our friends along for a wonderful meal. It is a real treat for us. Everything from the Valet attendants to the Dessert and coffee was a wonderful experience. excellent service with Jose as our waiter, who could not have been more accommodating and friendly. He’s a five star guy. 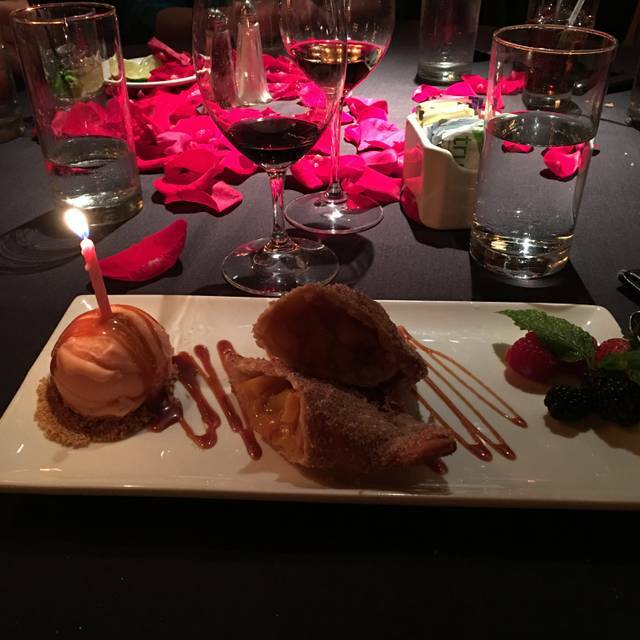 This was our 34th anniversary and it was made special by Sevy’s food and Team. The noise level was good, so please don’t ever increase the number of tables in your restaurant for that reason. Lovely place for special celebrations or impressive date night. Our table was even pre-decorated with rose petals for our birthday celebration. Beautiful wine selections and nice variety of interesting appetizers. Entrees were all perfectly prepared and presented. Dessert menu has outstanding five citrus pie to decadent chocolate cake. Our celebration was made a memorable evening by the outstanding talent of the chef. The food, service and ambiance was great. I will definitely recommend to my friends and co-workers. Great food. Wonderful service and relaxing atmosphere. The menu was difficult to order if you are not into high carb meals and was not all that appealing. A lot of pasta on the menu. Ended up ordering a grilled veggie plate. The food was good, but it was $22 for a plate of vegetables. Dinner for 2 with 2 appetizers, one salad, a veggie plate and one drink was over $100 with tip. Anniversary dinner here. Ended up sitting at the bar and being waited on by Jose (the older Jose ;) )....Service was WONDERFUL and Jose kept our glasses full all night! Great food and service made out night special. Stay/eat at the bar with Jose...you won't be disappointed! It was excellent but gets a little loud but the food the service etc were excellent as usual. I go there frequently. One of my favorites. Consistently good. Meal was delicious. Quiet setting, with knowledgeable and attentive wait staff. Great dish with the cauliflower risotto. Service was excellent. Food was very tasty. Salads were very good. Excellent dressing. I had the ravioli special. It was very good. My wife had a steak and she was very pleased. Great place. 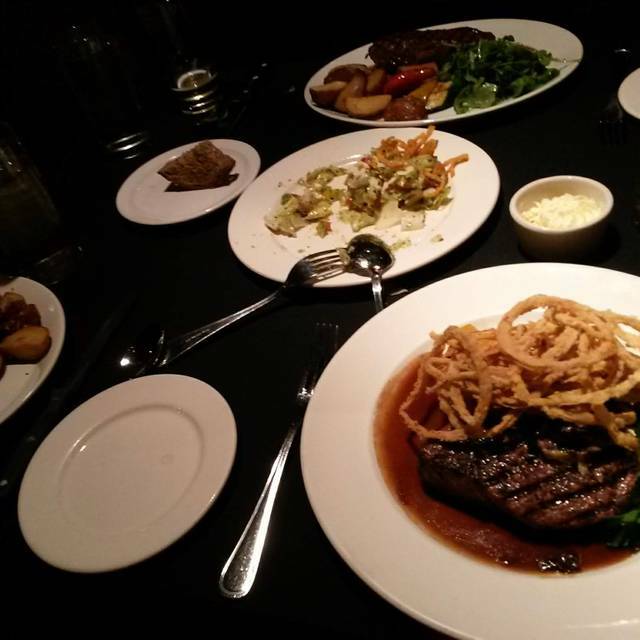 One of the best dining experiences in Dallas! My wife had to send her drink back twice. The food was pretty good as well as the service. Overall mediocre. We love Sevy’s. You always get a great meal here. I love the patio! order the calamari appetizer, so good..the fish dishes are always tasty especially the red snapper with griled shrimp..grilled veggies have yummy smoky flavor..definitely a superb lunch spot..Buzzy, the head chef, never disappoints..
far less than expected. Fine overall ambiance but stay away from the steak! You will do much better elsewhere! Great place to go for a special occasion or no occasion at all. Good food good service good ambiance. It’s 1 of my family’s favorite place! Had not been to Sevy in awhile so we decided to give it a try and had a good meal with ok service. Nothing very special plus the overall decor has not changed and looks tired. Probably will return but never on a weekend. Had not been there in a while, so it was good to check in on an old favorite. The food, service and atmosphere did not disappoint. We had private family dinner for 14. Very happy experience with good food. Very nice service. Not cheap but seemed good value. I do not live in the Dallas area anymore therefore I had not eaten here in years. It did not disappoint! I even brought my kids with me this time and they all found something they really enjoyed! Little problem. Ordered water. Waiter asked if we wanted bread. Said yes. Had to ask again for both. Shrimp and grits. Not really Cajun style. More like shrimp and a watery tomato sauce. Grits were good. Chopped salad still the best. Always excellent but my double fish special was the best ever!! Love the whole experience always at Sevy’s year after year for many years... since they opened. Everything was so PERFECT! 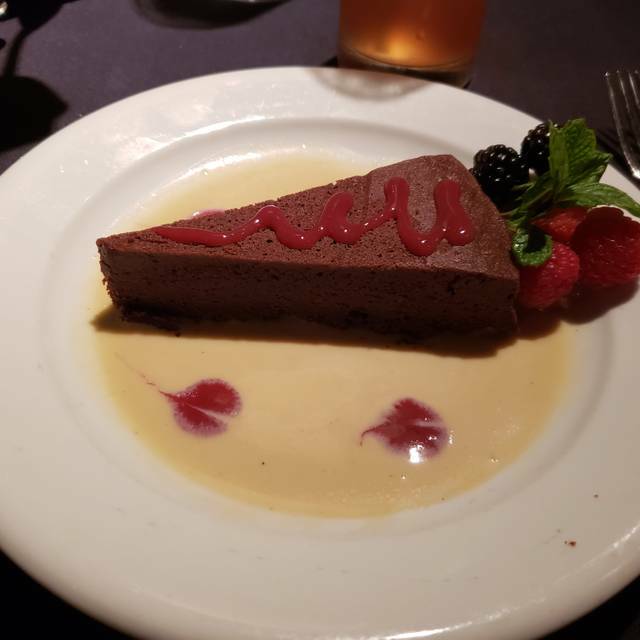 I made the reservation for a birthday celebration, and arrived with rose petals on our table, an AMAZING waiter named Pedro, and it was topped off with a multi-layered piece of delicious chocolate cake with a candle for my guest. It couldn't have turned out better, and she said that was probably the best salmon she had ever tasted. Thank you, and a special thanks to Pedro for taking such excellent care of us! It was a special day!